Dead approach locking: It is seen that for providing approach locking, a track circuit for a length of 1,2kms. Need to be provided. Provision of such a long track circuit for the purpose of approach locking is a costly proposition. 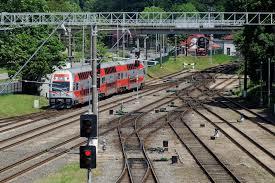 Therefore, the approach locking is provided without the approach locking becomes effective the moment the signal is cleared irrespective of the position of the train in the approach. Such an approach locking is known as “Dead approach locking”. In other words, once the signal is „OFF‟ it gets approach locked and the route can be released (after putting back the signal to danger) only after a time delay of 2 minutes. It is an electrical locking effective when a train has passed the signal and adopted to prevent releasing of the route while the train is “within the limits of the route entered”. For any signal, the route is from the foot of the signal up to the next signal ahead. 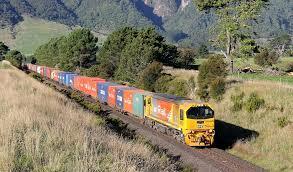 But, the limits of the route are from the foot of the signal up to and including the last point in the route. for example, for the home signal or the calling-on signal below it, the limits of the route for the purpose of back locking is from the signal up to the berthing track. The berthing track circuit shall not be included in the back locking. For S10 and C10, the back locking track circuits are 10T, 10T1, 56BT and 54T for both the routes 10A and 10B. So long as the train is moving over these track circuits the back locking will be effective and route cannot be released. After the train clears 54T the route will be released automatically. For S3 and shunt 103, the back locking track circuits are 3T and 56AT.